This dessert has everything for your Valentine. Chocolate, Strawberries, and Champagne. If you don’t want to make homemade brownies you can substitute store bought. Chocolate or vanilla cake would even be great. 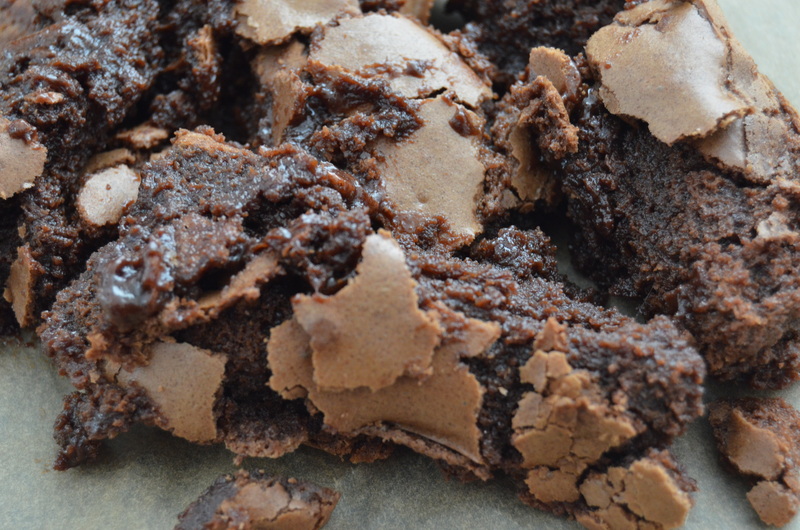 The brownie recipe I used yields a very gooey fudge like brownie. Even when cool, the center will be very soft. Feel free to use your favorite recipe. The sweetness of the strawberry sauce will depend on the champagne or sparkling wine used. Add sugar to it one tablespoon at a time and give it a few tastes to be sure you achieve the sweetness you like. I don’t want it to be super sweet because it may be a bit of a sugar overload when combined with the brownie. I assembled this in a large dish perfect for two people, but you should get about 4 individual servings with some brownie and sauce left over. This recipe is reminiscent of the double chocolate chip pancakes and strawberry sauce from last Valentine’s Day. Either will be a treat for your valentine! Pre heat oven to 350 degrees. Combine chocolate chip and butter in a microwave safe bowl. Microwave for 1-2 minutes until chocolate and butter s partially melted. 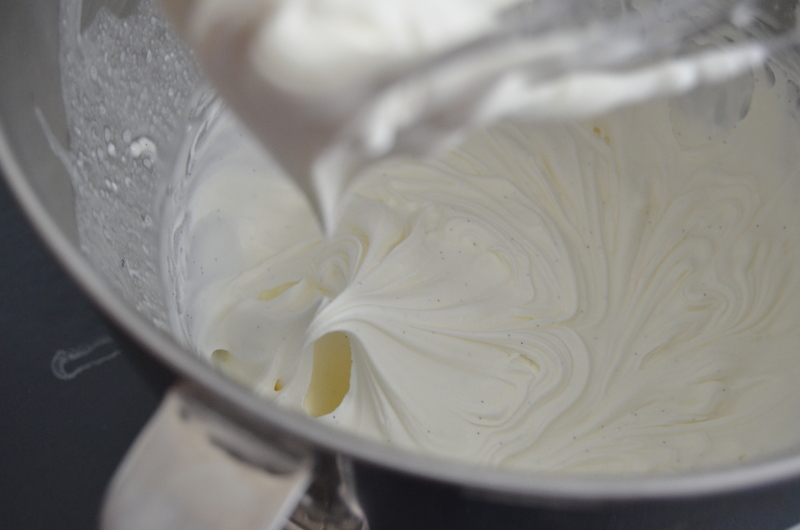 Whisk until smooth and completely melted. If necessary microwave until both butter and chocolate are fully melted. Add sugar and mix. Add eggs one at a time. Add vanilla then gently fold in flour and salt. Pour batter into a square 8 inch pan coated with cooking spray or line with parchment. Bake 50-60 minutes. Let cool to room temperature. Please note, these brownies will be very loose in the center so if you check with a toothpick, it will not come out clean. I ended up using the edges for this parfait because it had more of a firmer texture. This is not my favorite brownie recipe but I wanted to include it if anyone was interested. Combine all ingredients into a medium saucepan. Add sugar a few tablespoons at a time. The amount of sugar will depend on the sweetness of your strawberries and champagne. You want the sauce to have a little sweetness but not too much since it will be paired with a brownie. Bring all ingredients to a boil. Reduce heat and simmer for 30 minutes. Let cool. Combine all ingredients to bowl of stan mixer fitted with whisk attachment. Whisk on medium high for about 2 minutes until stiff peaks form. 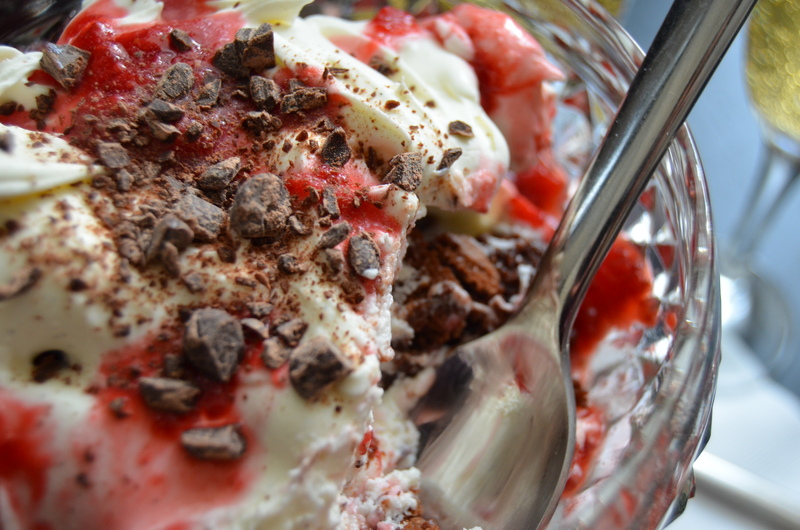 To assemble parfait, layer brownies, mascarpone topping, and strawberry sauce. Top with grated chocolate if you like, Serve with champagne and dig in. Check out the vid below for step by step instructions. This looks delish and romantic. I didn’t know that was possible with food but apparently it is.